At the Canadian River crossing was the popular overnight stage stop on the Old Santa Fe Trail. Clifton House was built in 1867 by rancher Tom Stockton and served as headquarters for cattle roundups. After abandonment of the Santa Fe Trail in 1879, it fell into disuse and burned. 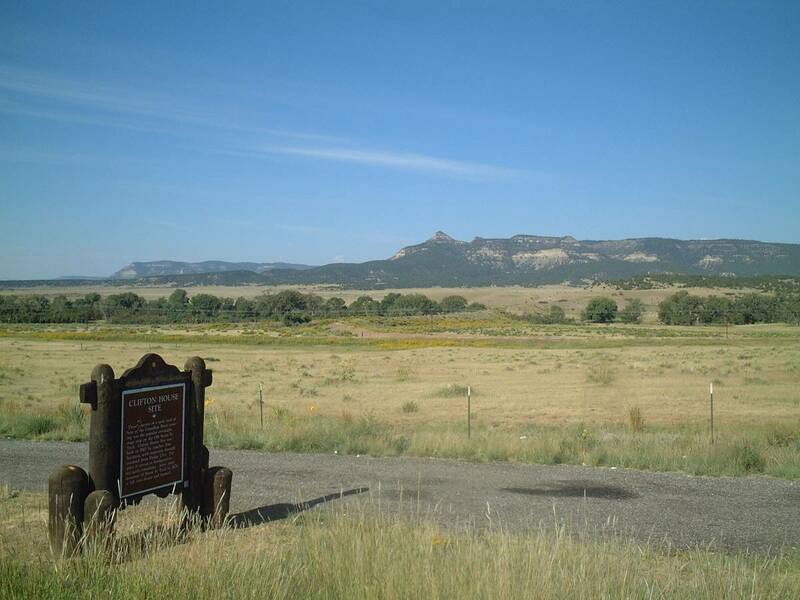 There is a State of New Mexico Historical Marker Hwy 64, 100 ft. south of Ranchway Rd. Directions: S of Raton, W of Exit 446; N of US 64.